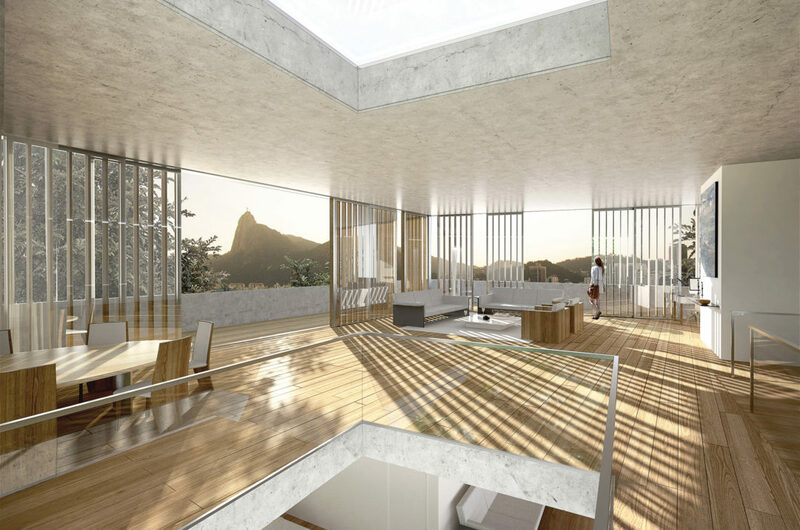 The exceptional location at the foot of Sugar Loaf Mountain overlooking the bay of Rio prompted the design of a house facing north with panoramic views of the mountains and the “Christ the Redeemer” statue on Corcovado mountain to the west. 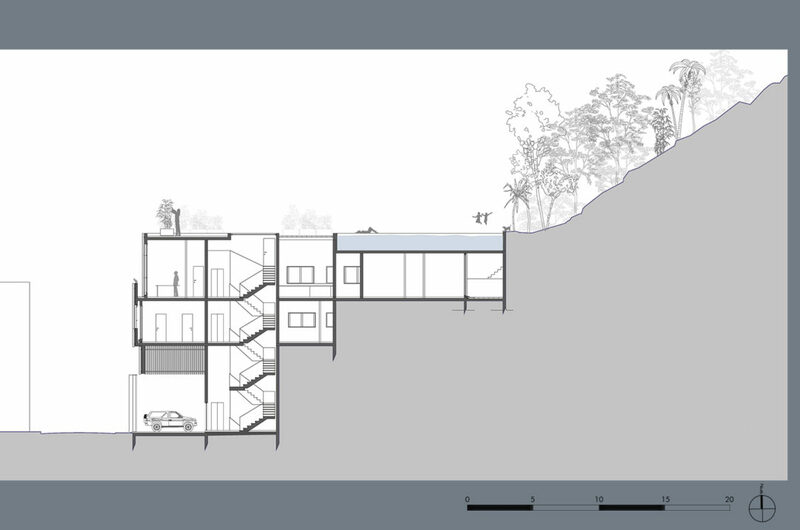 The 10m x 50m steep and highly wooded plot, on a road 21.50m above sea level, called for a play between the tropical vegetation and the interiors. 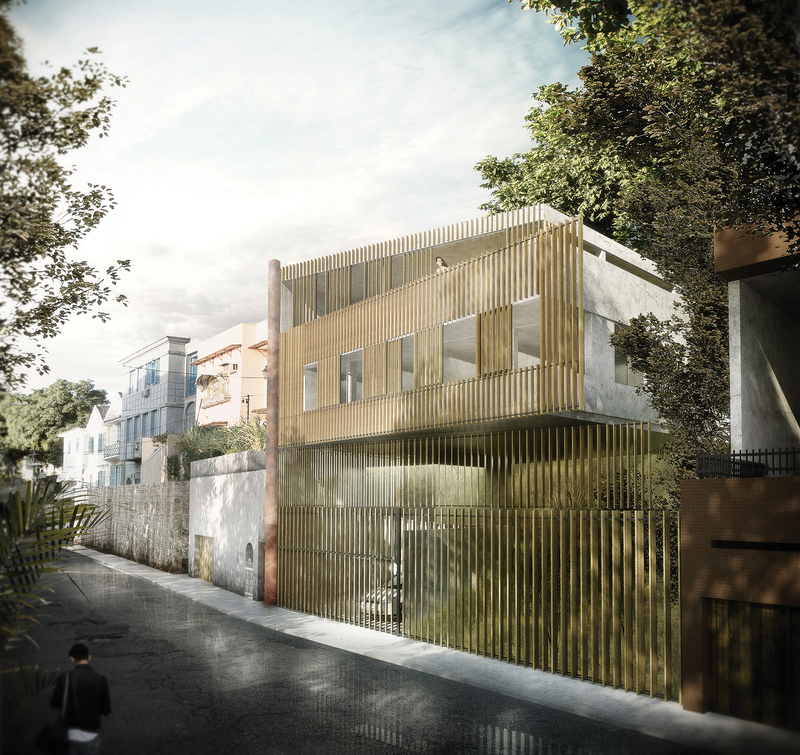 In this project, the quarter’s very strict rules were interpreted to maximize views. A broad urban stairway in the road faces the plot and leads down to the Urca waterfront district. To take the panoramic view to the upper level and extend the view into the distance, the house was constructed on 7 meter high piles (the maximum height allowed in the zone). 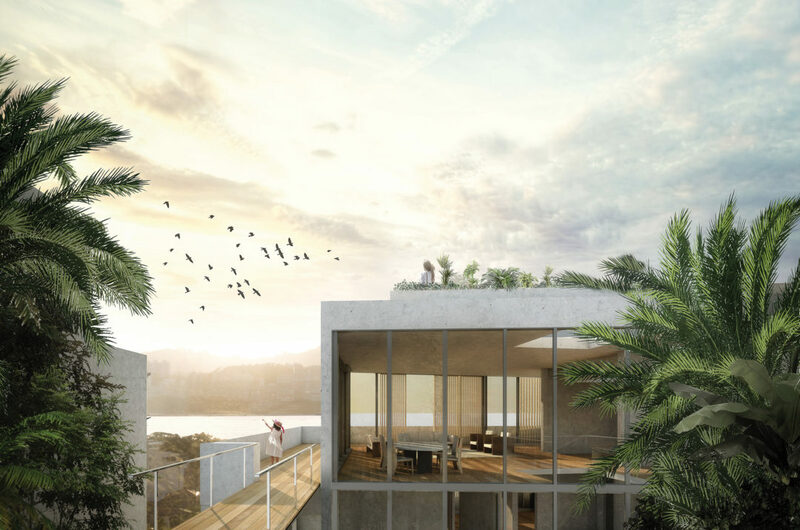 Bedrooms were placed on the first level with a facade offering views of the bay of Rio and on a level with the garden at the back. Living spaces (reception rooms/kitchen) were positioned on the second level. 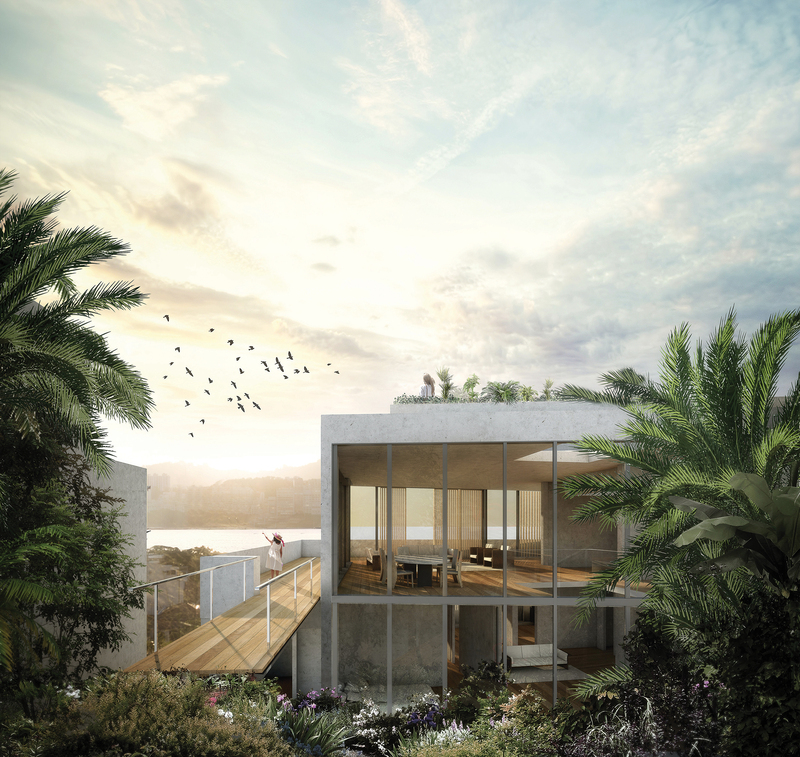 They open directly onto a roof terrace prolonging the natural aspect of the mountain with vegetation offering effective thermal isolation. 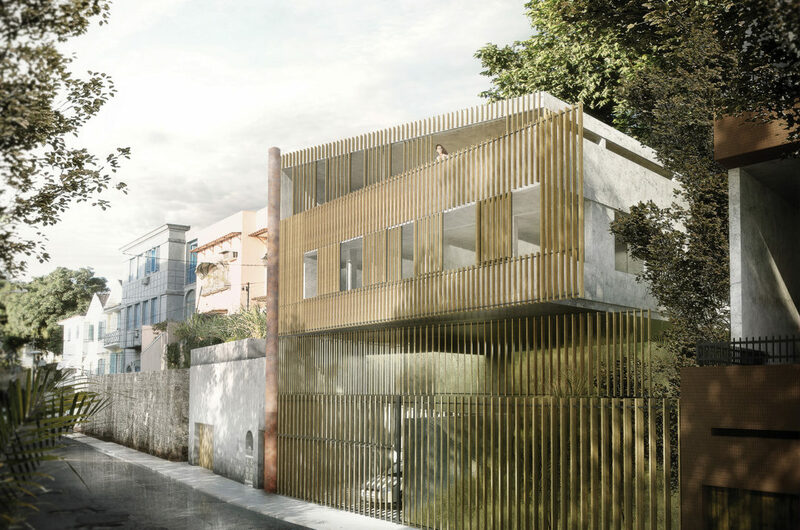 The glazed exterior creates a dynamic facade, extending the house’s breadth and pointing the bedrooms towards the east and the bay. 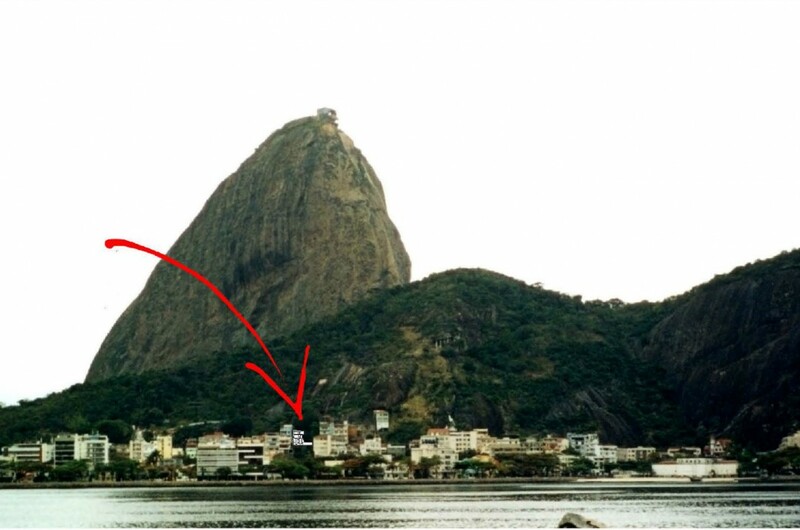 The sitting room faces the statue of Christ the Redeemer, Rio’s symbolic monument. An opening in the lateral façade creates a small garden at bedroom level with a large atrium window above the staircase letting light into the central area of the house. The gardens start at street level below the house and continue to the rear, blending with the mountain’s tropical vegetation.